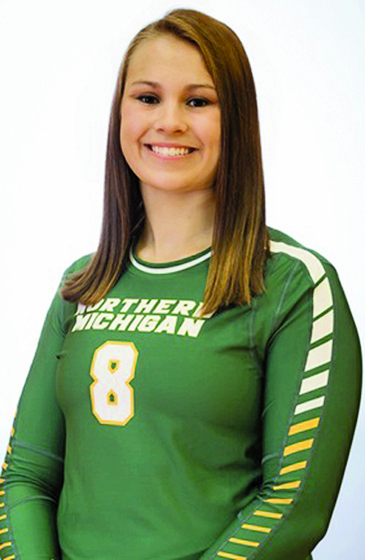 SPRINGFIELD, Ill. — The host team provided Northern Michigan University its toughest volleyball match of the weekend on Saturday night at the University of Illinois-Springfield Capital Classic. The Wildcats needed a comeback from an 8-2 deficit in the fifth and deciding set to finish the weekend 4-0 at the event. NMU defeated the Prairie Stars 25-19, 26-24, 21-25, 22-25, 15-13. 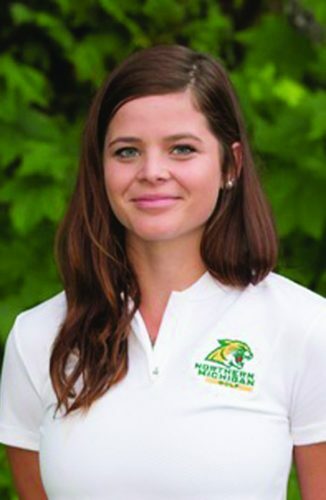 By the time they won their third match on Saturday afternoon against Cedarville, the Wildcats had already gotten off to their best start since 2010, a year the team began 17-0 and went on to make the NCAA Division II tournament. Northern also defeated McKendree and Walsh on Friday, and in those first three matches dropped just two sets total. Senior Maggie Liebeck led the Wildcats with 20 kills against Springfield, finishing the weekend with 53 and a sparkling .404 hitting percentage. Sophomore teammate Leticia Antunes added 17 kills, while junior Sarah Kuehn had 15 and senior Autumn Monsma 14. Senior Lynzi Svoboda made a career-high 59 assists, while Antunes contributed three service aces and seniors Rachel Braunschweig and Jessica Skonning each had two. Defensively, Braunschweig paced the team with 20 digs. Antunes and Monsma contributed 15 each, while at the net, Kuehn had eight total blocks. 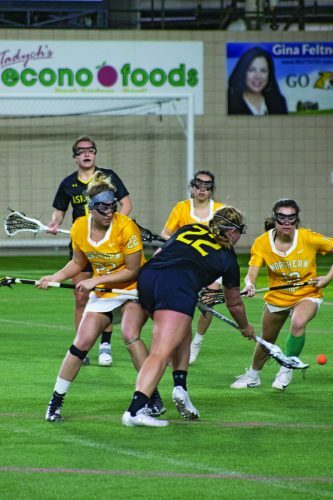 The match against UIS started as another laugher when NMU jumped out to a 2-0 lead before the Prairie Stars came back. In the opening set, the hosts led almost the entire way until NMU tied it 17-17 following back-to-back Springfield attack errors. It was part of the Wildcats’ five-point run on serves by freshman Alli Yacko that gave them the lead for good. While the second set went to extra points, NMU never trailed after giving up the first point, though the score was tied seven times, including at 21-21, 22-22 and 24-24. But a kill by Monsma and service ace by Braunschweig after that secured the set for Northern. The Wildcats again grabbed an early lead in Set 3, but Springfield bounced back, taking an 11-10 lead and not relinquishing it. The teams were not separated by more than three points in the fourth set until late. NMU scored four points in a row on Antunes serves to tie it 22-22, but the Prairie Stars got the final three points to force the deciding set. In the final set, with 15 points winning it, Springfield jumped out to an 8-2 lead when the teams switched sides. Northern was still down 10-4 when the Wildcats completed six straight kills to tie it 10-10. An exchange of service errors made it 11-11 before Monsma and Antunes made back-to-back kills for a 13-11 advantage. The team exchanged points twice, but when Liebeck smashed a kill, it won the set 15-13 and also the match. Northern returns home to Vandament Arena for the Wildcat Open against four Minnesota schools this weekend. 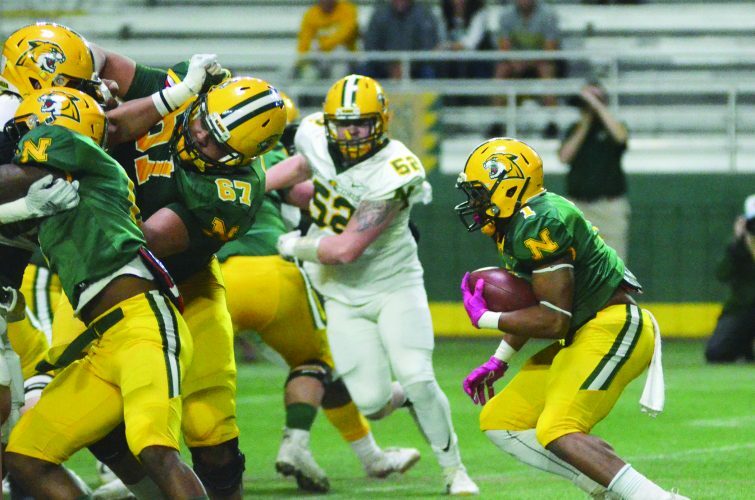 On Friday, NMU faces Minnesota-Crookston at 1 p.m. and Minnesota-Duluth at 7 p.m., then on Saturday, plays Bemidji State at 1 p.m. and St. Cloud State at 7 p.m.
Those will be the Wildcats’ last matches in Marquette until Tuesday, Sept. 11, when Northern hosts Michigan Tech in its GLIAC home opener.